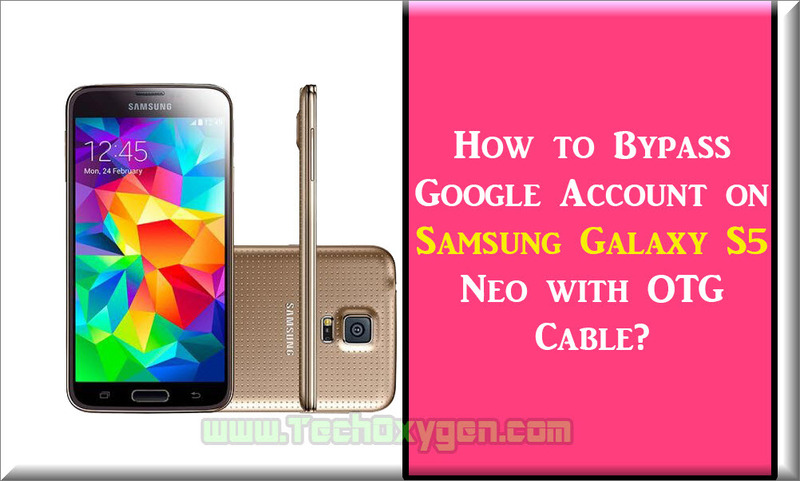 Complete Guide For Bypass Google Account on Samsung Galaxy S5 Neo with OTG Cable or any Samsung phone. Hi I am trying to bypass the setup google login. The phone was set up with an account that I do not know, so I cant get past the setup google log in!! Any help please?? This guide is for bypass gmail account or google account for your phone follow the steps that will lead you to the right solution. when I plug my OTG cable in, the phone doesn’t respond. its formatted FAT32, my Note 5 responds, what am i doing wrong? cant get it to work on s5 neo? Same here, connect via otg and USB format Stick FAT but Galaxy S5 NEO with Android 6.01 G903 don’t work for me.